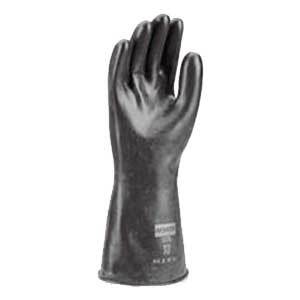 These are brand new U.S. rubber chem gloves. They are black and include white cotton type liners. Perfect for jobs where your hands and forearms are constantly in contact with water or chemicals such as cleaning or just to add to your chem prep pack.